After a month of abstinence and restraint, Eid brings with it many joys and cause for festivities and indulgences. Our bodies have become used to the Ramadan routine, and among the celebrations we should not put it through too sudden a change. That does not mean, however that the richer the food the more delicious it will be. The good news is that there are healthy foods that can be just as delicious. This week we present some recipes that will leave you full and sated without the guilt of having pigged out on something that may adversely affect you later. Blend all juices together. Serve chilled. In a saucepan, heat oil. Add capsicum and onion; cook until softened and lightly browned, stirring frequently. Stir in garlic and cook for 1 minute. Stir in tomatoes, stock, and salt to taste. Cover and heat to boiling. Simmer for 5 minutes. Stir in fish and shrimp; cover and simmer till done. Gently stirring once. Serve hosts. Cook the potatoes in boiling salted water until tender. Drain well, dice and place in a mixing bowl. Add the dressing and most of the chives or spring onions while still warm and toss well. Transfer to a serving dish and leave to cool. Mix the mayonnaise with the yoghurt and spoon over the potatoes. Sprinkle with chives or remaining spring onions. Put all ingredients in a small bowl, adding salt and pepper to taste. Blend well with fork. Preheat oven to 180°C. Sift the flour and baking powder into a large mixing bowl and stir in the sugar. Now mix together eggs, olive oil and yoghurt. Pour into the flour and sugar mixture and combine gently. Now gently fold in the frozen fruits. Using a spoon divide the mixture evenly into a lightly greased muffin tins. Bake for 20 minutes or until risen and golden brown. Cool. Then spread butter icing and decorate as desired. Add sugar to the butter. Mix until fluffy. Add food colour if desired. A cup of tea or coffee is never complete without a couple of biscuits to go along with it. 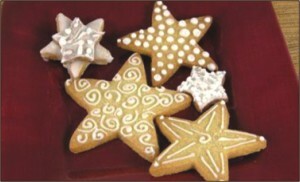 Cookies and biscuits are one of the most common and popular foods ever. And why shouldn't they be? Without all the hassles of preparation, you can just reach out your hand and have a few. It's also a simple enough solution when unexpected guests arrive and you have nothing in your house expect tea, and of course, a pack of biscuits to the rescue! Cookies and biscuits are a travellers' rescue too. Sweet, delicious and lovely, their high nutritional values on one hand and their simplicity of storage and eating on the other, lands them high on travellers' preferences. King's is a good place to visit if you are a cookie fan. They sell cookies wrapped in cute, little packages, and also in small, transparent, and plastic containers. You can choose from an array of flavours. So if you have a thing for butter and cheese, try out their Choc butter cookies for Tk 60 per packet. Or if your palate pines for coffee all the time, buy their Cappuccino cookies for seventy bucks. My pick from King's is their Crunchy Peanut biscuit, which will cost you only sixty takas. More or less, all their cookies' prices range between Tk 60 to Tk 140. Also, try out a pack of chocolate chips, though they do not strictly fall under the category of cookies or biscuits. It will cost you Tk 210. Let's start with cream crackers. For your every everyday tea, these are a perfect company. Try out a pack of cheese crackers, which will cost Tk 140. Toast biscuits, too, go with tea. Actually, if you think of it, they complement almost everything- milk, tea, coffee; having a toast biscuit even dipped in water is a good deal. The prices are a good deal too. You don't need to cross even a hundred. If I have to, I'll pick for you Arnolt's butter snap cookies and another pack of chocolate biscuits of the same brand. Arnolt's has a wide array of biscuits you should definitely try according to your preference of flavour or type; each pack should not cost more than five hundred bucks. If you need a brand name for cookies, Nut Walker should be good enough; their pack of almond cookies, which will cost you about Tk 300, is really lovely. Old Town is dominant when it comes to biscuits and cookies. Try the traditional delights at cheap prices at the various bakeries. 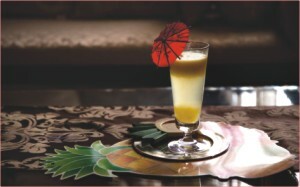 But if Old Town is too far away from you, do pay a visit to Bailey Road to get a somewhat similar treat.